important terms in the debate and a helpful metaphysics for understanding the incarnation. is false, since it affirms the antecedent of the conditional to be true, but denies the truth of the consequent. 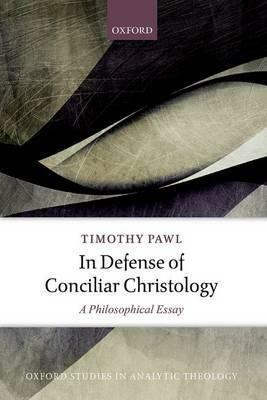 Pawl defends Conciliar Christology against these charges, arguing that all three philosophical objections fail to show Conciliar Christology inconsistent or incoherent. Timothy Pawl is Associate Professor of Philosophy at the University of St. Thomas, in St. Paul.